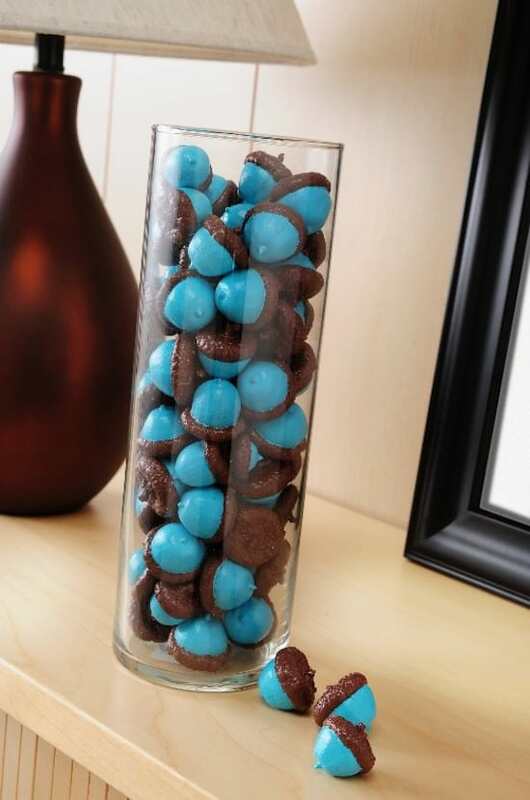 Have a jar of Mod Podge and aren't sure what to do with it? 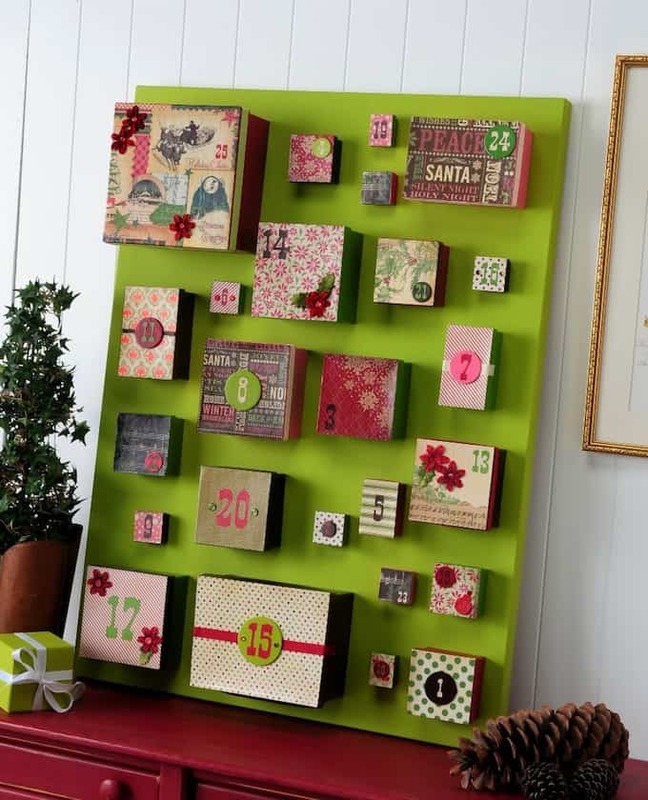 These top 10 Mod Podge craft ideas of 2013 are the perfect place to start! There's been a lot of decoupage happening this year my friends! When I started this blog over five years ago, I had no idea that I'd still be doing it in 2013. I wasn't sure if there would be enough projects to keep me going for that entire year. Boy, was I wrong! 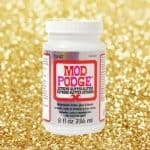 You all love Mod Podge and you love it hard. 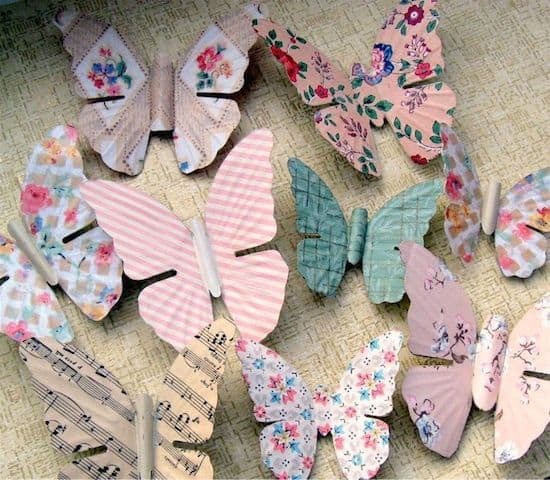 So I went back for 2013 to gather the most popular Mod Podge craft ideas from this blog, and here they are. If you are a beginning decoupager, you can accomplish most of these – perhaps a bowl or mason jars? There's a little something for everyone. 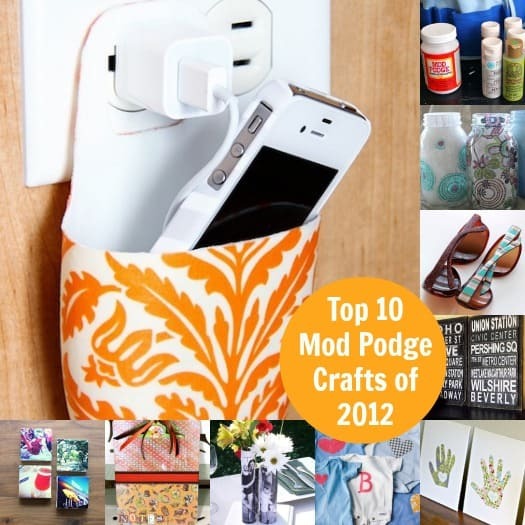 Just scroll down to see the Mod Podge craft ideas. You're going to love them. And happy new year! 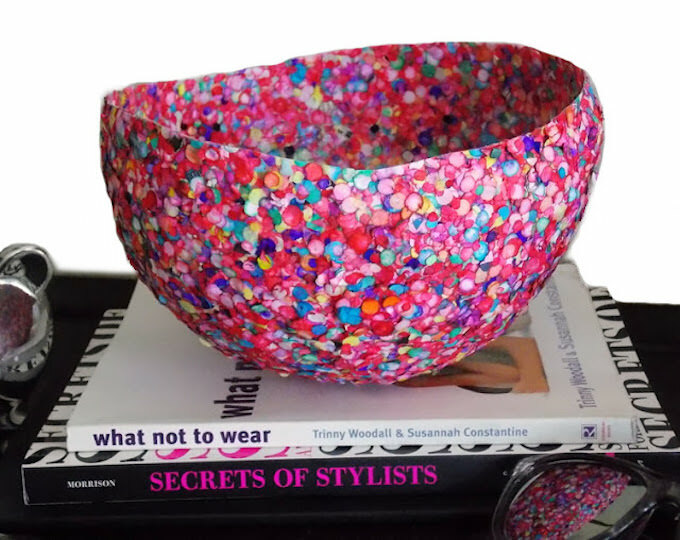 Confetti is great for parties, but also easy to turn into bowls. 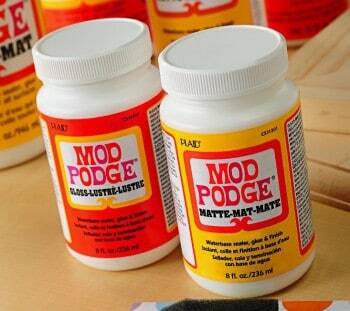 Just use Mod Podge. 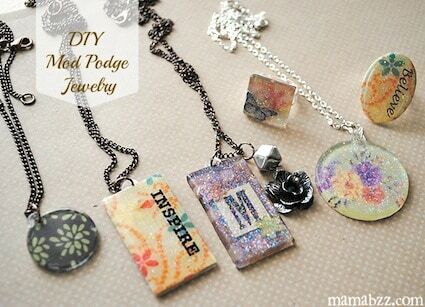 Use supplies like Podgeable shapes, glitter, rub ons and Dimensional Magic to make personalized jewelry. Create your own subway art just Johnnie did – all for under $2. Decorate mason jars with fabric and Podge for fun and funky storage. 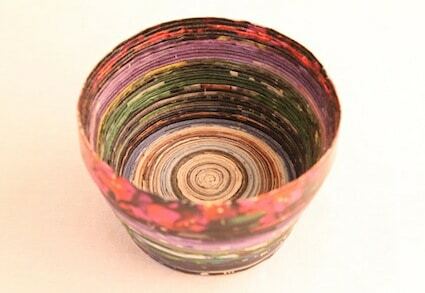 You had no idea you could make bowls out of recycled magazines, did you? It's easy! 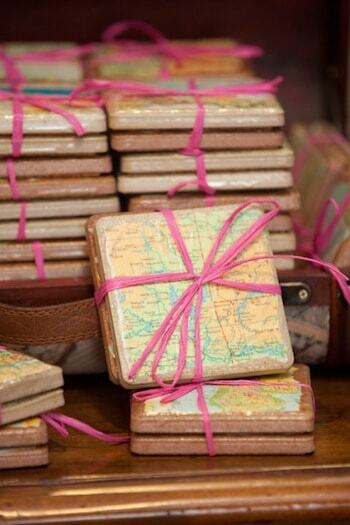 Add maps to simple tiles from the hardware stores to make coasters. 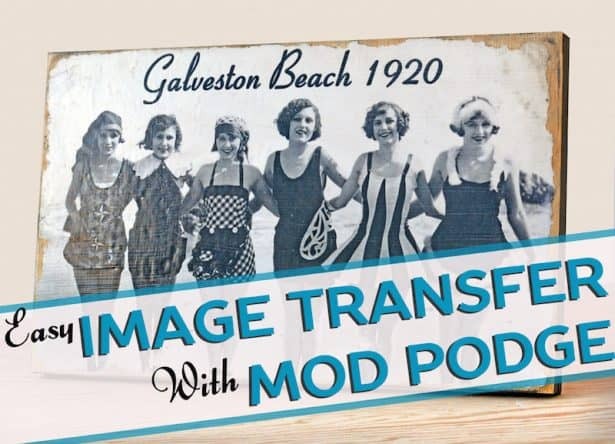 Transfer photos with Mod Podge – it's easy easier than you think! Blow up family pictures and adhere them to canvas for an amazing wall display. Transfer a family photo to wood and distress it to make a gorgeous piece of personalized art. This project is fun for kids and adults! You can use any piece of artwork to create an easy collage canvas. 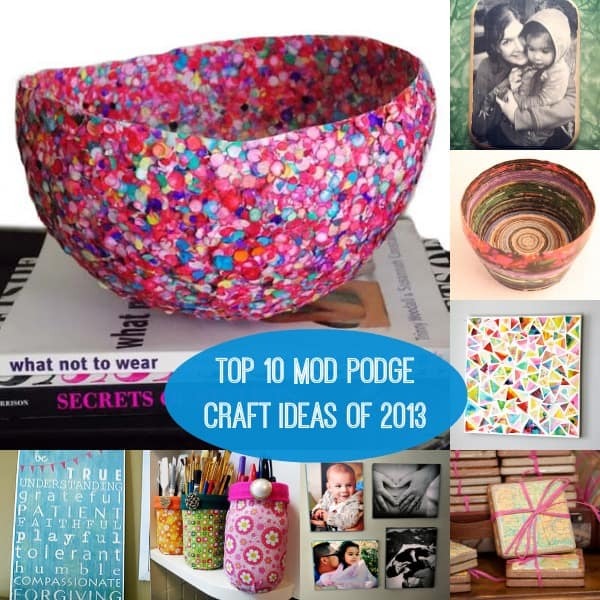 PS – if you missed the top Mod Podge ideas of last year, see them here. The first one is really a Gel Medium craft..not Mod Podge. How did this make the top 10. 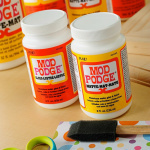 Mod Podge is my favorite craft helper, but glazing a surface to protect and seal is kinda what it’s known for. Kinda disappointed. So you can definitely use it beyond just gluing and sealing!